﻿ Doubletree San Diego Mission Valley Hotel, San Diego (CA) | FROM $115 - SAVE ON AGODA! "Clean, good location, kind manager." Have a question for Doubletree San Diego Mission Valley Hotel? This is a tourist and family-friendly accommodation conveniently located in the heart of San Diego. Guests of the Doubletree San Diego Mission Valley Hotel may enjoy delicious Californian cuisine from the Fountain Cafe. 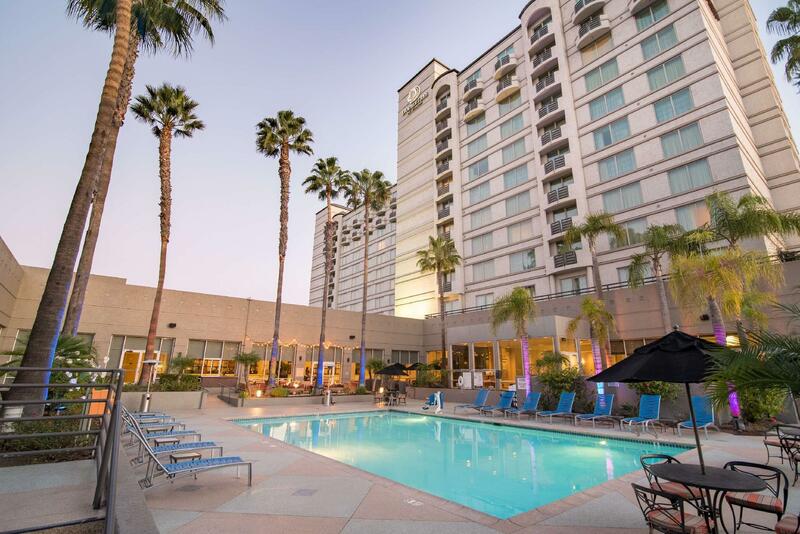 The hotel's location near the trolley station allows for quick and easy access to popular attractions such as the Gaslamp Quarter, San Diego Zoo, Sea World, and Legoland. The more health-conscious guests of the hotel may enjoy a trip to the on-site fitness center. Hosting functions such as wedding receptions, banquets, and business conferences is possible as the hotel has a Grand Ballroom that can accommodate up to 1,000 occupants. Hotel is great, the toiletries are branded which is cool but bottle of drinking water in the room cost money, no free so be care and don't touch the bottles. No complimentary bottle of waters given but fresh hot cookies were given to us when we check in which is a nice gesture!! Nice hotel and nice parking lot!! clean, good location, kind manager. Good location next to trolley/public transport & next to Hazard shopping center. Spacious lobby and large rooms. I have always had a decent experience here. Close to Fashion Valley Mall and restuarants. Very great time. Parking lot stalls were very tight. We experienced a driver hitting a park vehicle because of spaces were so tight.